Cliff Creek B&B Our records show that this inn is closed. Willow Springs Cabin Our records show that this inn is closed. Strutton Inn B&B Our records show that this inn is closed. Anemarie's Bed & Breakfast Our records show that this inn is closed. Apple Annies Guest House Our records show that this inn is closed. Creekside Cottage B&B Our records show that this inn is closed. Morning's Glory B&B Our records show that this inn is closed. Sage Bear Inn & Spa Our records show that this inn is closed. Berglund Bed & Breakfast Our records show that this inn is closed. Jenny Gulch Bed & Breakfast Our records show that this inn is closed. Vixies Victorian Villa Our records show that this inn is closed. EVA-Great Spirit Ranch B&B Our records show that this inn is closed. The Hanlon House Our records show that this inn is closed. 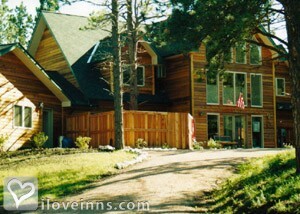 Rapid City bed and breakfast travel guide for romantic, historic and adventure b&b's. 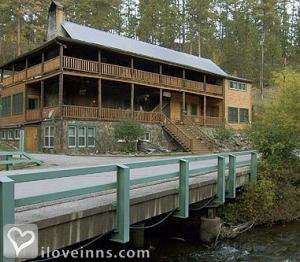 Browse through the iLoveInns.com database of Rapid City, South Dakota bed and breakfasts and country inns to find detailed listings that include room rates, special deals and area activities. You can click on the 'check rates and availability' button to contact the innkeeper. Rapid City is considered South Dakota's principal recreation area and tourist destination. Those who bring along their kids should not miss Storybook Island. This theme park is located only two miles away from the center of Rapid City. To catch sight of different wild animals, go to the Reptile Gardens which is 10 miles away. An alternative to this is Bear Country USA, a park nearer to Rapid City. In the evenings, enjoy live performances held at Circle B Ranch Chuckwagon Supper and Western Music Show or at the Black Hills Maze, an entertainment center about three miles from Rapid City. The museums in the area include Journey Museum and South Dakota Air and Space Museum. Rapid City bed and breakfast inns are nearby. By Coyote Blues Village. Hill City is located in the center of the Black Hillsand according to the Hill City Chamber of Commerce,"has continued to evolve as an archeological,paleontological and geological hub for the BlackHills." It also boasts the areas largest winery andbrewery, Rushmore Cave, the South Dakota StateRailroad Museum, and the historic 1880's Train.Only 34 miles away lies Rapid City, the second largestcity in South Dakota. Downtown Rapid City isirresistibly charming with art galleries and giftshops. The vibe is friendly and relaxed with morethan a touch of refined dining and hospitality.Unique events, free attractions and exceptionalplaces like South Dakota's largest movie theatrescreen at the Elks Theatre set the stage for a greattime in downtown.Rapid City Rankings� Most Secure Places to Live in the U.S.� #9 Best Small City for Business & Careers� #4 Best Places to Launch a Business� Rapid City Public Library named USA Today Top 10 By Coyote Blues Village. 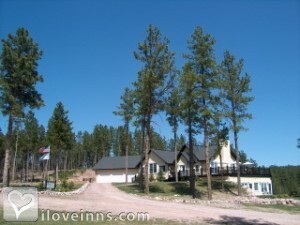 The Black Hills of South Dakota is a fabulous place to visit and vacation, with forests, lakes, fishing streams and creeks, parks, great local eateries, museums, and shops By Peregrine Pointe Bed & Brkfst.